"Who was who in Business in downtown Hunter Street"
A Historical listing by property number of the early businesses of Hunter Street, Newcastle. NOTES on the Hunter St Numbering System are at the end of this page. 1930 - The Vienna Cafe. The building was built in 1910, it was over the road from the California and on the corner of Hunter and Telford Streets, The original Vienna Cafe was fitted out by businessman Kurt Picardi back in the early years. I recall, around 1958, it was totally renovated by the new owner Demetrios (Jim) K. Kolivas who was also known by his stage name Valentino or Rudy. just after his return from a stint in Hollywood. Note : The building was demolished around 1979, it is now part of Pacific Park. ON A PERSONAL NOTE: I recall Demetrios had one of the first black n white, Television sets in the neighbourhood which he put in the back room of the his Vienna Cafe. As I was living just a few doors down the street in Hellenic Court, he invited me in to watch TV anytime. The TV intrigued me but not as much as the TV antenna installation... I was stunned at watching the TV Antenna installers putting up a 50 foot mast and Antenna on the roof of the building.... Then for weeks i would sit outside the cafe and stare at the Antenna on the roof, thinking " how does all this work ?" What makes this thing tick ! !, How do those things appear on the screen through a couple of of bits of wire.... For those that know me, The rest is History"
1938-1943 - The Shortland Cafe. 1950 - The Morris Cafe. Note - The building was demolished, it is now part of Pacific Park. 1950 - The Original Shipmates, began during January 1950. It was the brainchild of the pioneer restaurateur Clem Ashford, a tattooed adventurer who returned from the South Seas in 1975 to shake up the local food scene. As well as having some of the best chips and hamburgers in Newcastle. Clem also opened up two other shops right across the road. They were Shipmates Dairy Delight, a milkshake shop and Shipmates Sugar & Spice a donuts and hamburger shop. Clem was a wee bit ahead of his time and a great operator. Note - Clem Ashford later also created Clams, a landmark seafood restaurant at Merewether. 1950 - The Pacific Cafe, which was directly across the road from the Kosciusko Cafe. The Pacific Cafe was a very large cafe, with serving counters at both sides as you entered the cafe. It operated by Chris Sofianos and Stan Tsohadsis, who were Cousins and partners / proprietors. Note : the building was demolished in the late 1970's, it is now part of Pacific Park. 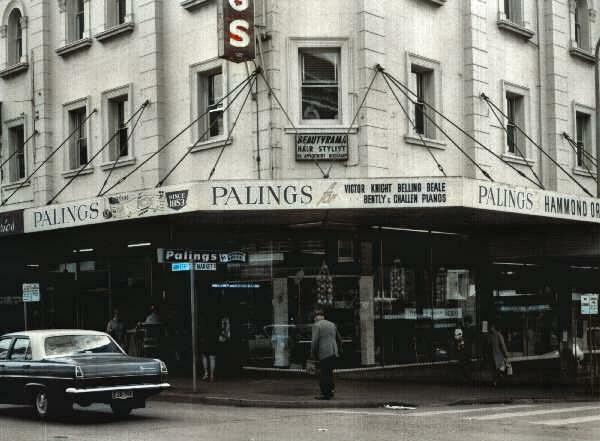 Note : Back in the 1960's and 1970's, This particular block of shops in Hunter St between Telford and Pacific Street, (now demolished) was the most popular part of Hunter St 'top of town', a late Saturday night, Hamburger was just the thing after a big night out !! 1950 - A. Clark, Boot and Shoe repairers. Currently : - Edward Cross shop front. 2010 - Level 5, Yoga Loft. 1930 - Newcastle Sun Newspapers, Evening Daily newspaper, The Northern Times was first published in 1916. In 1918 the Times was purchased by Sir Hugh Denison, publisher of The Sun who changed the name to The Newcastle Sun..The Newcastle Sun was acquired by Newcastle Morning Herald in 1936 and continued until 1980 when it ceased publication. 1938 - Gr Floor, Tasmanian Government Tourist Bureau. 1950 - Jones C Campbell, Accountant, & various other tenants. 1950 - Australian Steamship Owners Federation. 1940-1950 - Leslie E.Thompson & Co, Accountant. 1933-1937 - Radio 2KO Newcastle Broadcasting Pty Ltd, 1933, the station was operated from several locations including 72 Hunter St, until January 1937, then it moved to new studios and offices in the heart of Newcastle in the CML Building at 110 Hunter Street. 1909-1950 - The Christian's Center, Bookseller. Currently : multi story with various tenants. 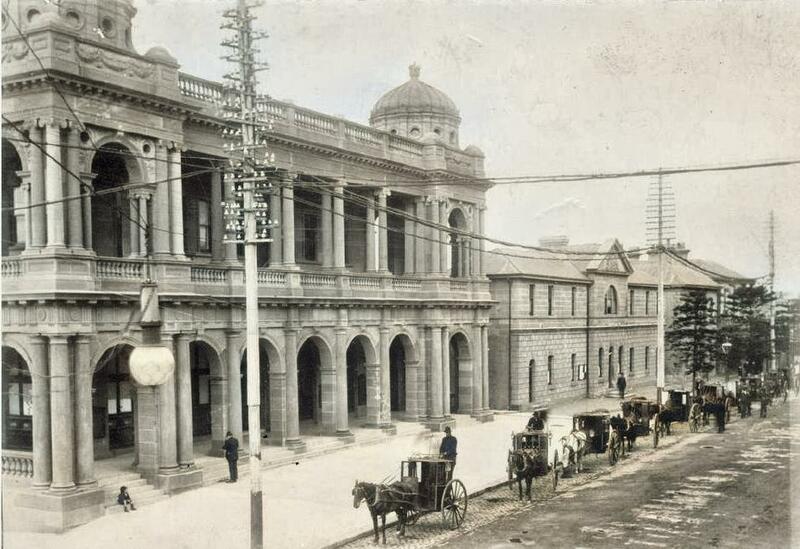 1928 - The Newcastle Post Office, The first Newcastle Post Office was opened on 1 March 1828, being one of the first seven opened outside Sydney. The original office was situated in the 'Sessions House' on the corner of Watt and Church Streets, with Duncan Forbes Mackay, the Superintendent of Convicts, as the first Postmaster. 1932 - Health Dept, Weights & Measures, Education Dept. 1861-1930 - The Electric Telegraph Office The Inspector weights and measurements, Health Dept. Currently: it's 'The Lock UP' The Lock-Up was built to support the Newcastle Police Station which was housed in the adjacent Court House (now the site of the former 1902 Post Office) and was used from 1861 until its closure in 1982. 1861-1982 - The Newcastle Police Station. 1838 - The Lock-Up In 1838 a Court House designed by Colonial Architect Mortimer Lewis was constructed on the corner of Hunter and Bolton Streets, where the former Newcastle Post Office building now sits. It included a lock-up comprising two cells but by 1855 as the former penal settlement was developing into a flourishing coal export centre, it was deemed inadequate. The building of the Newcastle Police Station and Lock-Up was completed in 1861. Mortimer Lewis Jnr designed a single storey building under the direction of James Barnet.In 1867 a kitchen block was added to the rear and other alterations carried out between 1870-1890 included additional cells. Symmetrical extensions were added, which enlarged the Hunter Street facade, and a brick perimeter wall was built in 1882. Aligned with the corners of these new extensions, the wall provided secure exercise yards. 1903 - The Newcastle Court House, In 1890 Government Architect Walter Vernon added a second storey over the front section of the building. In the same year a new Court House was built in Church Street and the old building was subsequently demolished to make way for a new Post Office (1903), which still stands today. 1932 - Post & Telegraph office, The Postmaster-General's Department (PMG) was an Australian Government department, established at Australia's Federation in 1901, whose responsibilities included the provision of postal and telegraphic services throughout Australia. It was abolished in December 1975, and in its place two separate legal entities were established: Telecom (which later became Telstra) and Australia Post. 1909 - The Union Bank building, Built on the corner of Bolton and Hunter St's. 1879 - Union Bank Chambers, The Hannell family sold the land to the Union Bank of Australia in 1885, but it appears that the bank had been operating from the hotel building on a leasehold basis since November 1879. The bank continued to trade from the Ship Inn building, adapted to suit their operations, until 1912, when it was demolished to make way for the existing purpose-built premises.1912- ANZ Bank building. The site of the ANZ building, being formerly the site of the Ship Inn has local significance through its association with the Hannell family, in particular James Hannell who was licensee for the Ship and became Newcastle's first Mayor. This association is commemorated by a plaque mounted on the building. 1945-1952 - Rundle's, In the 1950s, under second-generation tailors Nelson Rundle and Lindsay Rundle, Rundles began its expansion by wholesaling quality suits and blazers nationally while maintaining a retail presence in Newcastle. In 1952 it became a public company, Rundles Pty Limited. Currently: - Porky's Nest, Homewares and coffee. 1918 - Robert Ingall and Sons, working mans trousers. Currently: - The CML Building, a Multi Story building with Various Tenants. 1916-1932- Glbb and Beeman, Ltd, Opticians, expert Sight Testing and Spectacles, five shillings. Satisfaction guaranteed, or money refunded. Gibb and Beeman,"
1898 - The Niagara Cafe. Angelo Bourtzos, after he left Vlahokerasia, Greece bound for the USA around 1898 and before the turn of the century. He traveled from the USA to Australia, eventually settling in Newcastle and opening the Niagara Cafe. In 1898, It was located next to the CML Building and on the North side of the street and virtually opposite The Brazil Cafe. 1912 it was taken over by Brothers Michael and Theo Karanges (who was Bourtzos godson) Theo stayed on to take over the business when Bourtzos died, while Michael Peter Karanges opened up his own Niagara Cafe a few miles away in the Newcastle suburb of Hamilton... Around 1920 George Peter Kostakes and Michael Karanges became partners. By 1926 they had incorporated with George Peter Kostakes and Mr. P.Karanges as First directors... Con and Nick Karanges arrived from Vlahokerasia, Greece around November 1936 and worked for their Uncle Michael Karanges. It was here at the Niagara that Nick met his wife to be Olive May Watts.. Con and Nick Karanges worked, saved and bought their own cafe's, In 1942, Con bought The Embassy Cafe at 303 Hunter Street, whilst Nick Karanges bought the Central Cafe at Belford St Broadmeadow opposite the Century Theatre. In 1951 George Peter Kostakes, Passed away. He died in the Royal Newcastle Hospital yesterday, aged 60. He lived at 13 Anzac Parade Newcastle which later became the Nick Gerakiteys household. The Niagara cafe also in the 1940's owned its own cake and sweets factory in Bull-street, Cooks Hill which was sold in 1952. See more of the story below. Nick Karanges at the Central Cafe Broadmeadow. Con worked at the Embassy till he retired in 1976. Around 1938 George Velissaris arrived from Greece and began working for his uncle Michael Karanges at the Niagara. Around 1946 George Velissaris bought out his brother Michael and ran the business himself. Around 1954 brothers George and Nick Velissaris bought the Station Cafe in Campsie Sydney and moved there with the family. In 1940, Steve Gounis arrived from Greece to work in the Niagara Cafe. 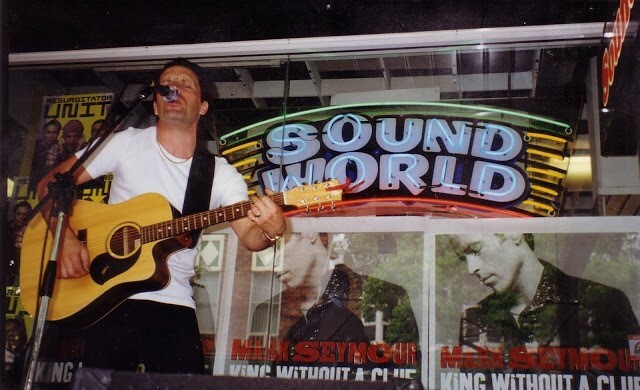 John Scoufis, from the same village, also came to Australia to work in the Niagara but unlike the others he settled in Sydney. Scoufis bought and ran the Central Inn Cafe in Railway Square, Sydney in 1933 Phone 654. 1935 The Niagara Cafe was advertising "The best place to eat and drink and the new 4d milk bar service. Excellent chocolates and cakes"
1909 - Newcastle Jockey Club. 1916-1920 - Ways, Ltd, The Victoria Cafe, Tel 531. Currently: - The City Arcade With Barents Tobacco and other tenants. 1920 - Thomas Blackall & Son, Dentist, Blackall & Sons. (W. Blackall was the father, Tom Blackall the son. Blackalls Park is named after Tom). 1950 - Christian Science Reading Room. 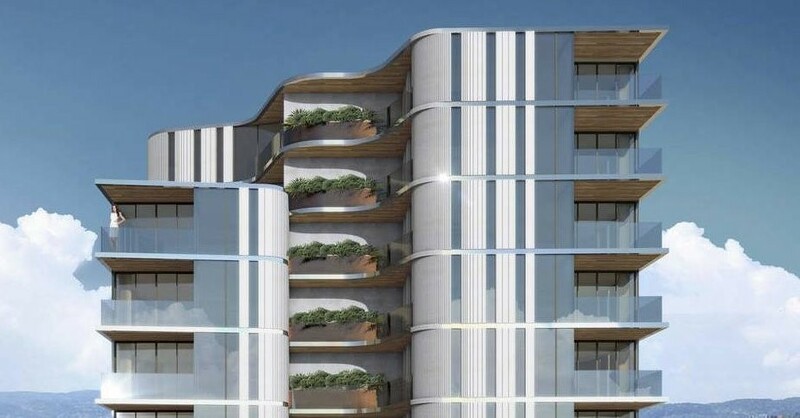 Currently: it's a multi story building with various tenants, including, Bloom Hearing Specialists, The Wren, Jewels On Hunter, OPSM, Jeremiah Jones Fish & Chips. 1920 - Newcastle Nursery Co. Currently: - Jeremiah Jones, Fish n Chips Boutique. 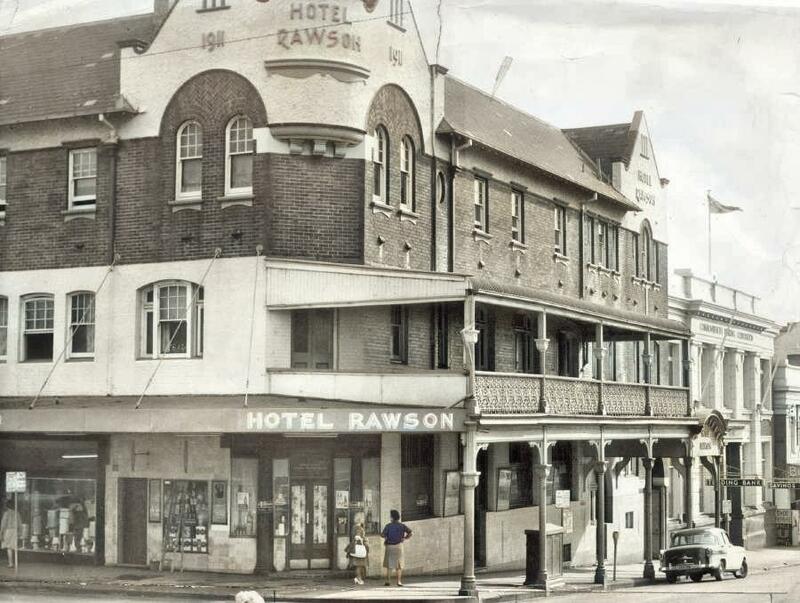 1920-1964 - The Rawson Hotel (J.W.Wallace) Hotel Rawson on the corner of Hunter and Newcomen streets, it was demolished after its licence expired in 1964 and is now the site of the Commonwealth Bank. 1891 - G.E. Bodley Children's toy shop. As advertised "Toys, Toys, Toys. for Children for Christmas. Toys for Christmas for Children. A splendid lot just. opened. Remember, My Prices are as usual" The Cheapest in Town." 1940-1950 - Betta-Cakes, a Cake store. 1940-1950 - Goldsmith Pty Ltd. Boot and Shoe retailers. 1950 - Reid's Commercial Services.Business Consultants. 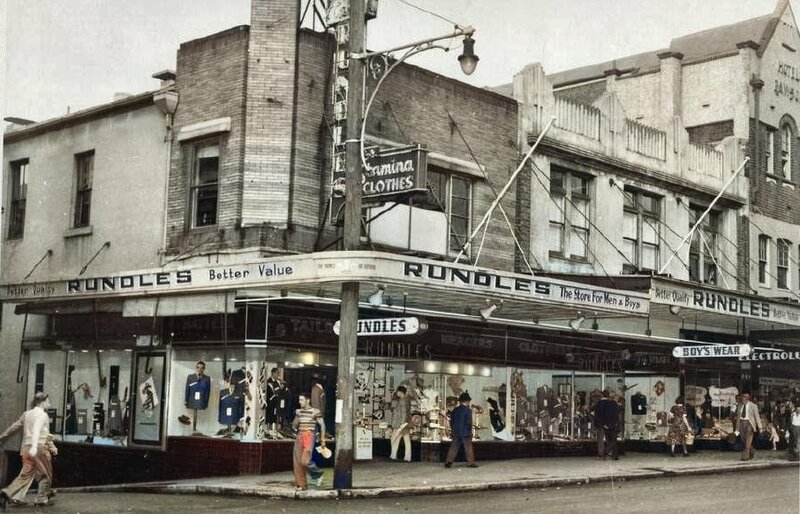 1952 - Rundles Pty Limited, under second-generation tailors Nelson Rundle and Lindsay Rundle, Rundles began its expansion by wholesaling quality suits and blazers nationally while maintaining a retail presence in Newcastle. In 1952 it became a public company, Rundles Pty Limited. 1973 - Rundles, under the guidance of Lindsay Rundle and now third generation tailor, Peter Rundle. The business established itself as one of Australias largest suiting manufacturers. The company employed more than 500 people and was one of the largest employers of women in the Hunter region. 1899 -George Weiland, The Strand Cutchery. 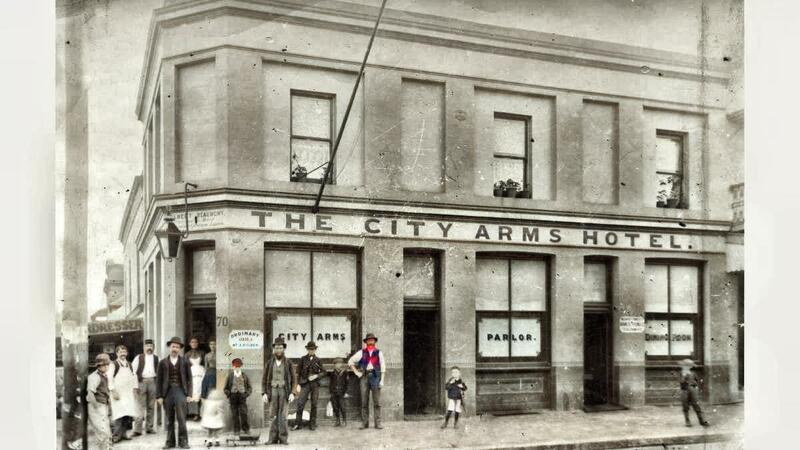 1870 The City Arms Hotel ...The City Arms Hotel was situated on the eastern corner of Market and Hunter Streets Newcastle. It was built on part of the Market Reserve. On May 15 1870 a licence for the City Arms Hotel was granted to Jospeh Walmsley who formerly held the licence for the Miner's Arms in Lake Macquarie Road Newcastle (later Darby Street). Eventually a verandah was added to the front of the building extending along Hunter Street and down Market Street. Joseph Walmsley held the licence until 1881 when Samuel Hall took over. The name was later changed from the City Arms Hotel to the Central Hotel. 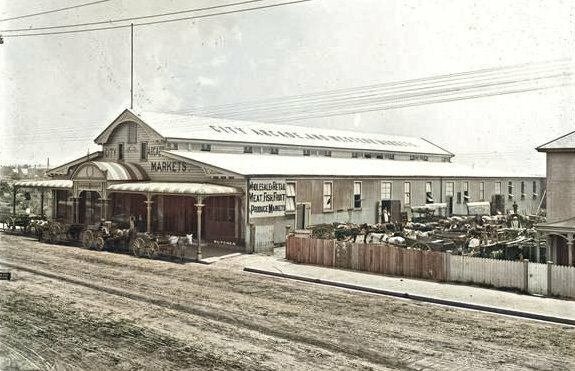 1891 - The Municipal Market Building. The design for the Municipal Market Building was the result of a competition by the City Council after a fire in early February 1884 had destroyed several businesses on the corner of Market and Hunter Street. They announced the winner, which turned out to be the council's former clerk of works Peter Bennett. 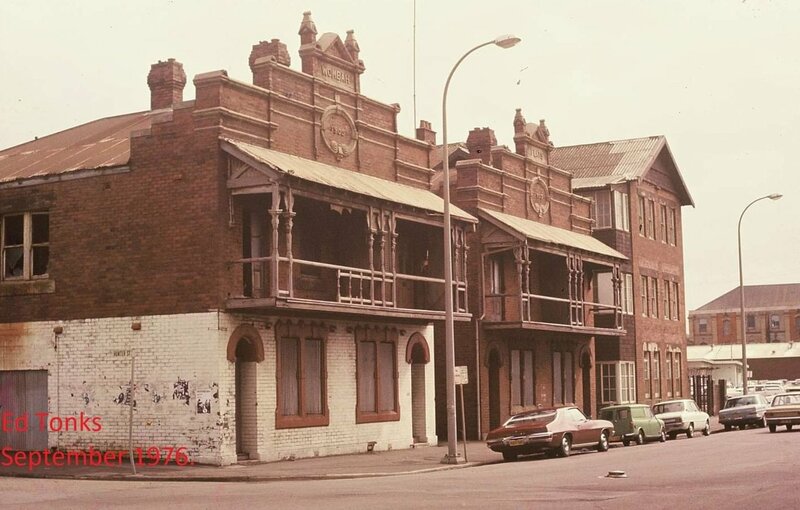 The wide and elegant balconies were demolished in 1929 and replaced by suspended awnings, which have also been subsequently removed in line with Council policy for Hunter Street. 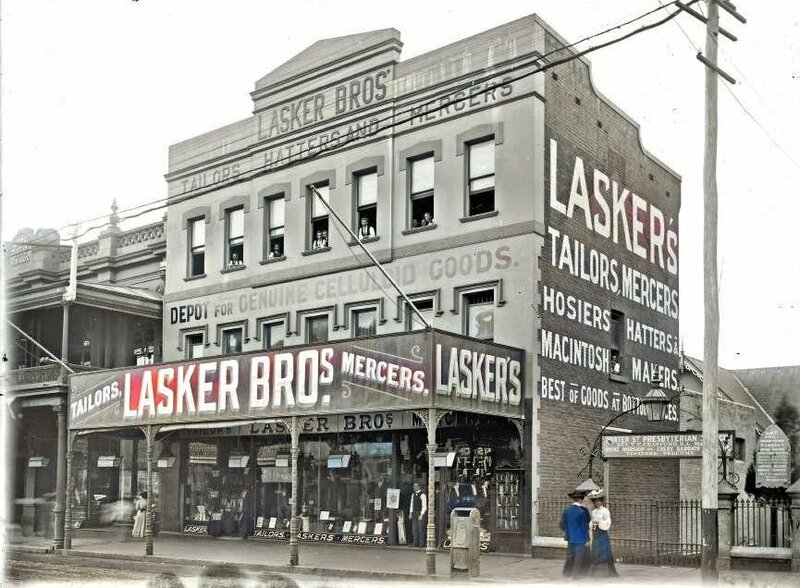 1876 - Lasker Bros, Tailors, TEMPLE OF FASHION... D. LASKER, In thanking the inhabitants of Newcastle andi district for their previous liberal support. 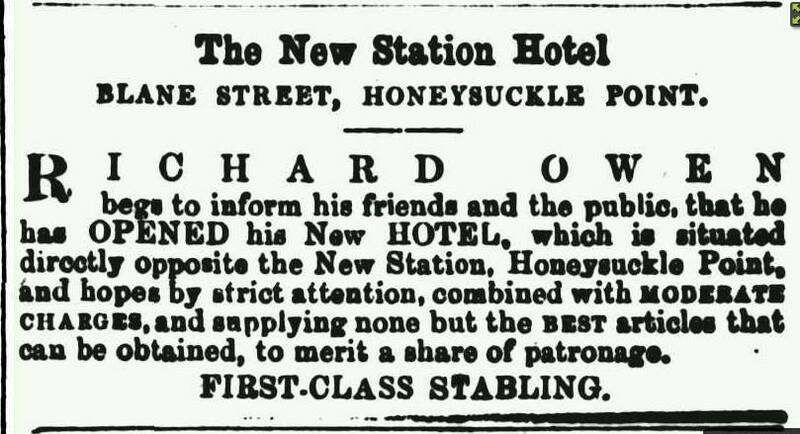 begs to inform them that he has taken central premises in Hunter Street, Market Square, opposite the pilot office; and is there carrying on his business as MEIRCHANT TAILOR, &c.
Especially he assures those getlemen who have hitherto bestowed their favours on Sydney and Melbourne houses, that he has now facilities for EXECUTING ORDERS In Every Department of Tailoring, In a way that cannot fail to give satisfaction; wile the advantage may.be obtained of a personal inspection before the goods are supplied. D. LASKER hopes that superior fit and workmanship, combined with excellence of materials, promptitude, and modeiate charges, willfully entitle him to that share of public patronage which he hopes to receive in his new promises. 1940 - Bruce Signs, Signwriter. Currently: it is Betta Shoe Repair, shoe repairs. 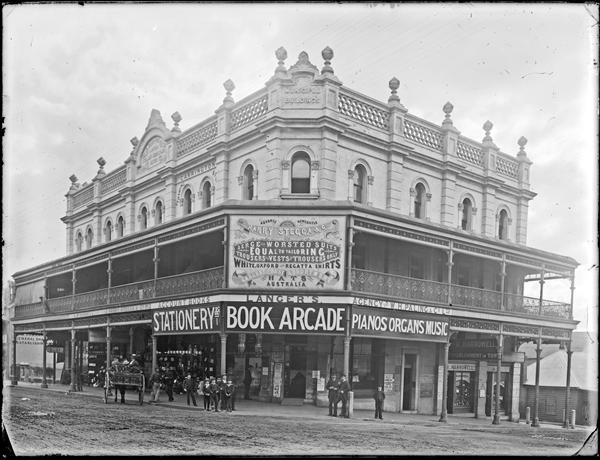 1909 - Fairless Bros, Booksellers & Fancy Goods. 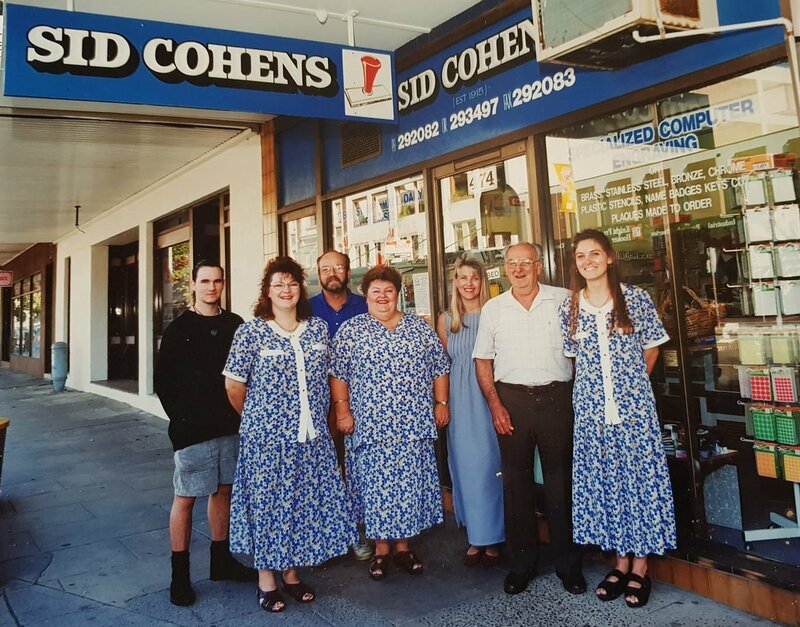 Later - Johns Silks Store, Johns sold the building around 1984 then it was extensively renovated and mainly rebuilt, allowing several new stores to open. 1940 - The Astoria proprietors were Jerry Kolivas and Jerry Cominos by 1941 Chris Stelianos joined as joint proprietor. 1938 - Reg C. Pogonoski Printers, Mr. Reg. C Pogonoski, well-known printer of Newcastle, is also a son of the late Mr., K. T. Pogonoski... The "Express" Established in 1905 Three generations of the Pogonoski family have conducted newspaper and publishing establishments on the coalfields since the first Cessnock newspaper, the "Express," was published by the late Mr, K. T. Pogonoski on June 10, 1905. It was a humble start  the first paper being a double crown sheet. Currently: OWP lawyers, OBrien Winter Partners is a Law Firm has been servicing the Newcastle and Hunter Region for over ten years. Over this time the services offered by the Firm have grown and expanded to include areas such as Criminal and Traffic Law, Family Law, Commercial and Business Law, Conveyancing, Estate Planning and Victims Compensation. Currently : NIB Nib Dental Care Centre Newcastle, The team of dentists at Newcastle nib Dental Care Centre are committed to providing you with the highest level of quality and care. Currently : Three 76 Hub, Located in the heart of Newcastle, the Hub offers flexible co-working space, collaborative meeting zones and professional technology over two levels to advance your business within the Newcastle region and beyond. Currently : Coal & Cedar, Classic and inventive cocktails, plus gourmet share plates, in a retro-chic bar with warm decor. 1970 - the former State Bank and before that, it was The Bank Of NSW. Currently - Mullane & Lindsay, Solicitors is a Hunter based law firm; with offices both in the heart of Newcastles CBD and also in Sydney. It is one of the leading law firms in the Hunter and Maitland. Our lawyers have the right mix of experience and legal expertise to provide quality, value for money services in many areas of law. Streets Real Estate, Street Real Estate was established nearly 30 years ago by cousins Terry and Max Street. 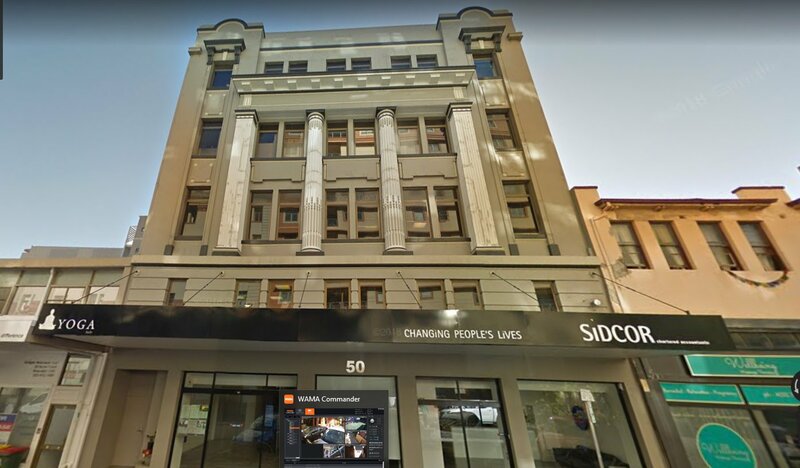 The business operated from premises in Hunter Street, Newcastle and engaged primarily in residential and commercial sales, medium density development and residential property management. The family business expanded rapidly, and expertise broadened to include surplus asset disposal for government and private enterprise, project marketing of both apartment and land developments, industrial sales and development consultancy, and commercial property management. Currently: - Pacific Dreams Surf shop, the business started in 1981 by surfboard shaper Roy Lee moved from its long-time Darby Street location to Hunter Street, near Civic Station. Currently: - the disused Civic Railway Station being Demolished whilst retaining the main building, to make was for the civic plaza walk to the harbour. 1970 - Mason Lawyers 1970? 1970 - Herald Solicitors 1970? 1970 - Honey Bunnies 1970?? 1971 - Mr Cloves, Chesters Menswear ? 1920 - Mrs A. Buxton, Restaurant. 560 Hunter St / 250 Hunter St Newcastle West, Manchester Unity Building. 1894 Technical College. Demolished 1988. 1970s - Techical College (1894 building) re-roofed in metal / corrugated iron. 1991 - repair of earthquake damage including replacement of part of roof. 1940-1950 - Hardy and Owen, Cash Registers. 1950  Electrical Installations Pty Ltd.
1932 - Bennett & Barkell, Motor Accessories. 1930 - P & R Williams Ltd, Motor Cycle Dept. 1930 - Warburton, Franki Ltd, Electrical Appliances. 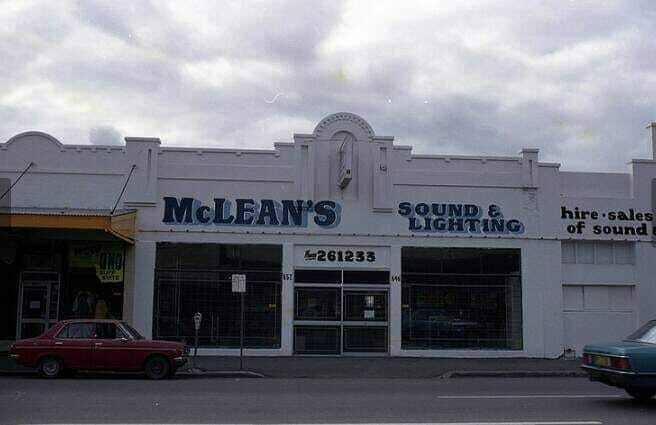 1979 - McLean's Sound & Lighting, address was 646 - 652 Hunter St (from 83ish - 89ish). The building was old railway sheds, and was demolished after the earthquake due to structural damage. Currently: Hunter New England Local Health incorporating the Newcastle Dialysis Center FMC. 1965 - The site of Chester's First Surf Store With Peter Cornish at the back of the building, manufacturing Surf Boards. 1960 it was Simpsons Boat Hardware supplies. Originally - Once a government farm, Produce was grown on the banks of Cottage Creek, the farm being worked by convict labour under watch by military guards. 1880 - Elite Skating Rink, Messers A. Shedden and Son opened the Elite Skating Rink on this site. However, being away from the center of town it did not prosper. 1891 - West End Arcade and Market. The building was converted from the Skating Rink into Markets. Currently: - Kentucky Fried Chicken, in 2007, This Victorian, Palais Royale building was finally demolished to make way for largest Kentucky Fried Chicken outlet in the southern hemisphere. 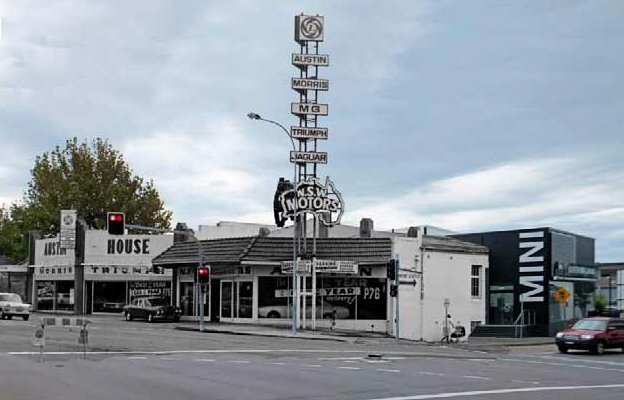 Mcleod Kelso & Lee, Motor Dealers, Sold to City Holden (23 Hunter St) As well as Newcastle West, MKL had other dealerships in Lambton, Maitland and Mayfield. MKL traded until Early 1979; soon after the release of the VB Commodore. A dispute between the directors resulted in the dealership being bought out by Young and Green Pty Ltd. Young and Green had been operating since 1919 retailing Vauxhall, Oldsmobile and Bedford Trucks and later expanding into Suzuki, Honda and Mitsubishi. Young and Green was first launched by Walter Edgar Young after serving in World War One. His son Alexander (Alex) Walter-Young AM OBE. 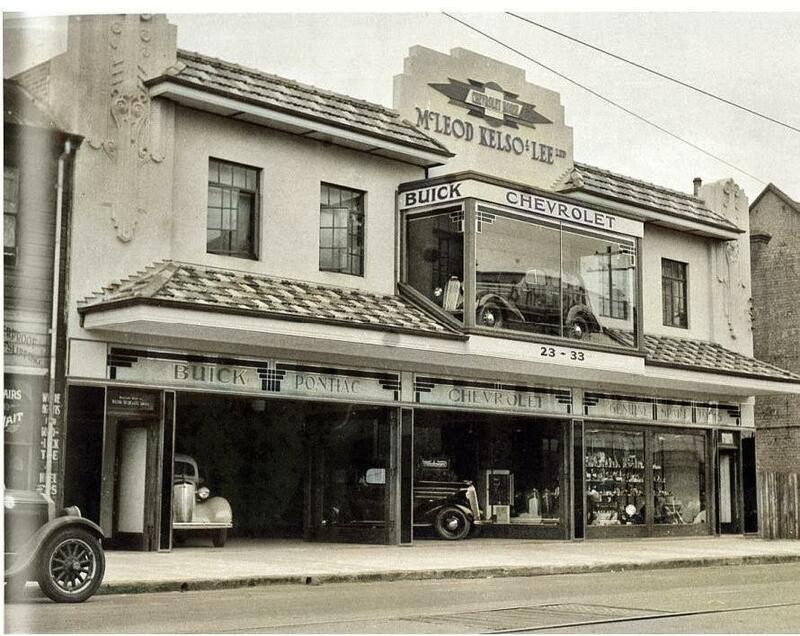 Alex began working at the dealership for his father in 1940 and much later took over the reins of the business. Under his direction, Young and Green Pty Ltd became the biggest motor vehicle and spare parts dealership in Australia outside the capital cities. Alex Walter Young was a determined and highly influential man and an incredible advocate for the Hunter Region. His business and civic involvement was vast: a principal director of both Young and Green Pty Ltd and MAMI Insurance, the foundation chairman of the Hunter Development Board, a director of the Hunter Technology Development Centre, a member of the Federal Task Force for the Hunter and a director of the Hunter Apprenticeship Group. He served as president and a member of Newcastle Chamber of Commerce and Industry for years, as chairman of the Hunter Valley Research Foundation, as member of the Hunter Planning Committee, and foundation chairman of the Newcastle Port Task Force. He also managed to find time to hold down trustee positions with the Anglican Church of Australia and Newcastle Regional Museum, the chair position of the Newcastle Salvation Army Advisory Board, and membership of the Australian National Airlines Commission. He received an OBE in 1978 and an AM (Member of the Order of Australia) for service to the community on Australia day 1990. Sadly business concerns sourced mainly from his involvement with MAMI insurance caused many troubles starting in the early 1990s. The Young and Green group of companies went into decline. Alex Walter Young attributes the decline of Young and Green to economic downturn, social change and an emphasis on long-term goals rather than short-term principles. Young and Green traded at the subject site and the adjacent associated lots including the King Street yards and buildings from 1979 till 1993 when the business was put into liquidation. It was bought out by John Abrahams and the name changed to Newcastle City Holden. 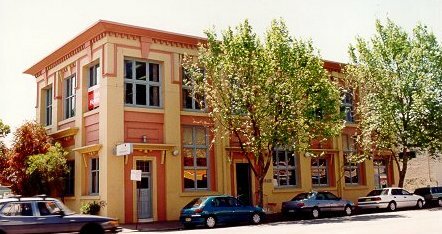 Newcastle City Holden Purchased the AIF Drill Hall site at about the same time to add to its tenure at 500 King Street. The Drill Hall was already identified as an item of Local Heritage Value and listed in the Newcastle City Council LEP. The intention was to use the Drill Hall to house their Spare Parts department. 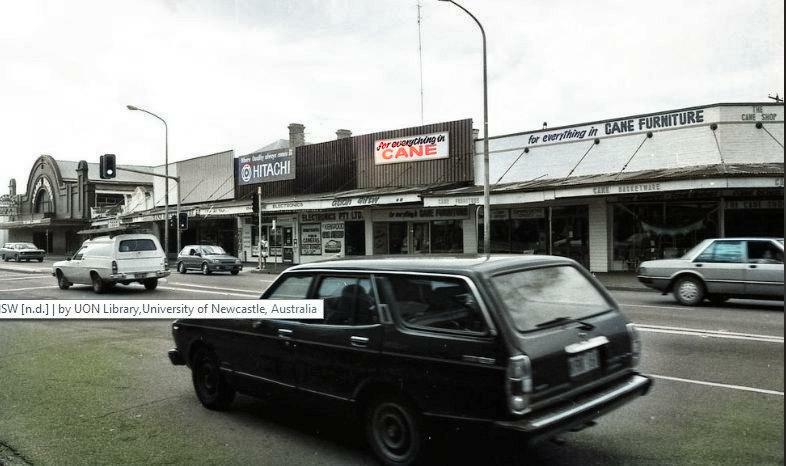 Newcastle City Holden traded at the subject site, the adjacent associated lots and the Hunter Street shopfront from that time on, only ceasing in March 2016 when they moved premises to Hannell Street Wickham. 2018  Buildings Demolished & The Aero Apartments Built Note: from Jorge Araujo, Lovely old building, Explains the in-ground fuel tank we found whilst building the Aero Apartments there now. Currently: - Gr Fl, Hunter Medical Center, First Fl, Unexpected Exit. Currently: it has been demolished to allow part of the new interchange. CHARLTON ST - from cottage creek bridge to western boundary of Newcastle, renamed Hunter St West 9th Jan, 1905 BLANE ST - from AA company bridge , to Cottage creek bridge (64 chains, 80 links) renamed Hunter St West gazeted 13 April 1889. LANGFORD - renamed to Gibson in 1920s, although part becomes King st. NUMBERING SYSTEM (A) At one time there were 3 separate sets of numbers in Hunter street: Watt Street to the AACo bridge at Crown Street. 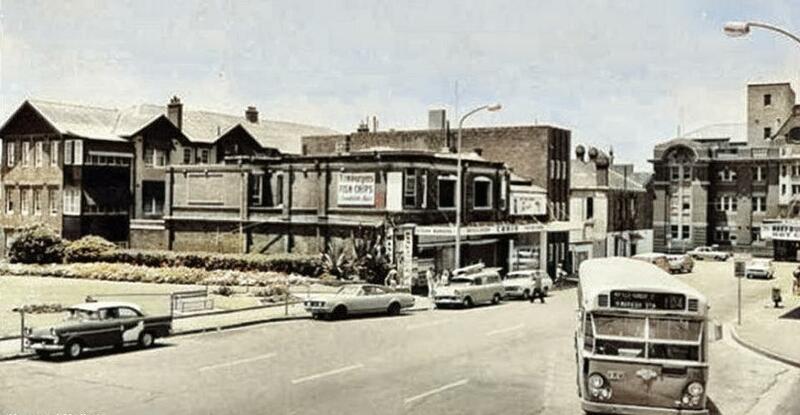 Crown Street westward to Bank Corner, & Charlton Street (Hunter Street West) west from the Bank Corner. The numbers were all changed to the current series after Hunter Street was extended east from Watt Street to Telford Street about 1910. By the year 1930, the numbers are close to todays property numbers. During 1909 to about 1950 the Blue numbers have also been used, shown here in BLUE shown as eg (122-124 Hunter St / 42 Hunter St / 86 Hunter St Newcastle, 1909 Palings,) most times the color of the number will reflect the year numbering system. The late Norm Barney wrote of Hunter Streets trials and tribulations in this piece, first published in the Newcastle Herald 20 years ago. IN the beginning it was just a track; It began near the sandhills and a few hundred metres later petered out in the scrub. It was hilly and water lapped at its northern edge. It was given a name, Wellington Street, probably after the famous Duke and his part in the victory against Napoleon at the Battle of Waterloo in June 1815. The name did not last long, for in 1823 the surveyor Henry Dangar began his survey of Newcastle and the Hunter Valley. He dropped the name Wellington and it became Hunter Street. The name was there but not much else. The track, for that's all it was, went only as far as today's Perkin Street. It was low, prone to flooding, surrounded by ti-tree scrub and made mostly of dirty black sand. A few scattered houses, shops and hotels began to spring up along the track but even by the 1850s those residents who made their homes at the eastern end of the street, near Watt and Bolton streets, considered the Rouse Hotel to be "in the bush". The hotel stood on the site where the main entrance to the former David Jones building was today. One early settler described it as a "straggly street in a straggling sort of town". Another remembered it as an uneven, hilly street, which flooded after heavy rain. Recalling the town in 1866, Mr Thomas Brown wrote that it was "surrounded by a tangled mass of brushwood" with "dilapidated fencing, wretched huts and lots of sand". The streets, including Hunter Street, were "unpaved, grass-grown and deserted". Another pioneer settler recalled the street in the late 1850s as having a few shops that were "little more then lean-tos and humpies." The area we know today as Scott Street was submerged at high tide. Those brave enough to build on the northern side of Hunter Street had to place their timber homes or shops on pillars or stilts to avoid being flooded. Hunter Street was then much lower then it is today and many of the early shops were built high to avoid flooding. Customers had to climb as many as a dozen wooden steps to reach and enter a shop. Climbing steps was not the only hazard faced by shoppers. The town and the street was once overrun by goats and at one time the local police were destroying up to 100 a week. One of the early attempts to align the street in an organised way came in the 1850s. As the street was filled in, most of the shops "came down" to street level. But history records that one butcher shop near the corner of Hunter and Perkin streets got lower and lower as the street got higher and higher. In the end less then two metres of the shop front was showing above Hunter Street. The butcher installed steps to allow his customers to descend to the shop and he displayed his meat at pavement level and employed a young boy to keep the bush flies away from the carcasses. In the 1850s Mr Colin Christie, later to become mayor of Newcastle, worked in a boot and shoe shop opposite the site of David Jones. The timber shops were so small they were known around town as the "sardine boxes". In 1857 Mr Christie recalled seeing a huge bed of sand outside the present post office. It may well have been Newcastle's first roundabout as it was used to "turn" bullock teams. In a paddock on the corner of Hunter and Bolton Streets - the site of the old State Bank - horses grazed and residents kept their carts and drays. Reclaiming part of the harbour on the city side stabilised the area of Hunter Street down to Perkin Street. With the coming of the railway, businesses were on firmer ground. Beyond Perkin Street there was little until Crown Street, and this was the boundary between the two areas. For years the area we now call the West End was nothing more then a track. In the early 1850s the AA Company owned that section of track between Crown Street and what became known as Bank Corner. The company named it Blane Street, after one of the senior officials. It was to retain that name for almost 40 years before being re-named Hunter Street West. The section of Hunter Street from the Bank Corner to Tudor Street was part of Charlton Street, which once went as far as the Islington bridge. For many years Blane Street was "off limits" to many residents. To go west under the bridge was like crossing the border into a foreign country. But gradually the AA Company opened up its land and houses and shops began to appear along the street. In the area between today's Crown and Darby streets there appeared a few shops - a timber yard, watchmaker, fruit shop, furniture shop and undertaker and, of course, the inevitable hotels. (In 1900 there were 26 hotels in Hunter Street; in 2013 there are five.) The land behind the shops was a paddock that attracted some of the early circuses (they also performed off Hunter Street, near today's King Street parking station and in the Market Street area). A Mrs Nicholls, known locally as "Gentle Annie" was one of the early residents of Blane St and she lived near Crown Street. Gradually Blane Street opened up but it took many years to establish beyond Melville Street (now Union Street). A blacksmith occupied the site of what became the Newcastle Gas Company, and on the current Honeysuckle site there were about 100 houses. They later made way for the railway workshops and some were moved to Bullock Island (Carrington), Wickham and Stockton. As the town evolved and progressed, so did Hunter Street. Transport was primitive, with horse-drawn buses bringing people to the town and the harbour. 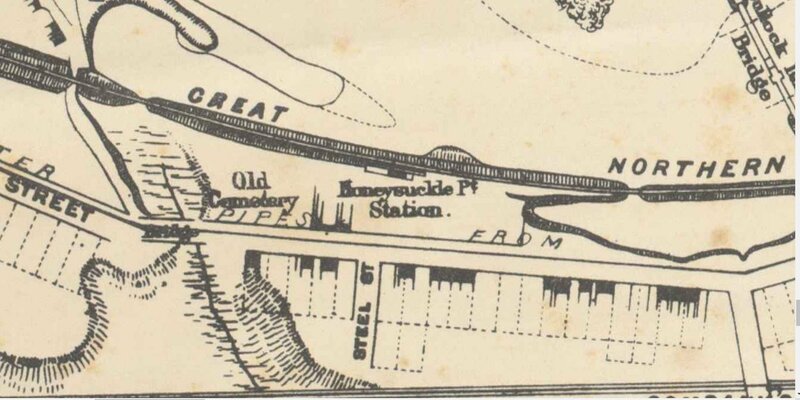 The coming of the railway made it easier for those who lived out of town and near a rail line to get to Hunter Street. The introduction of steam trains in 1887 helped to attract even more people. 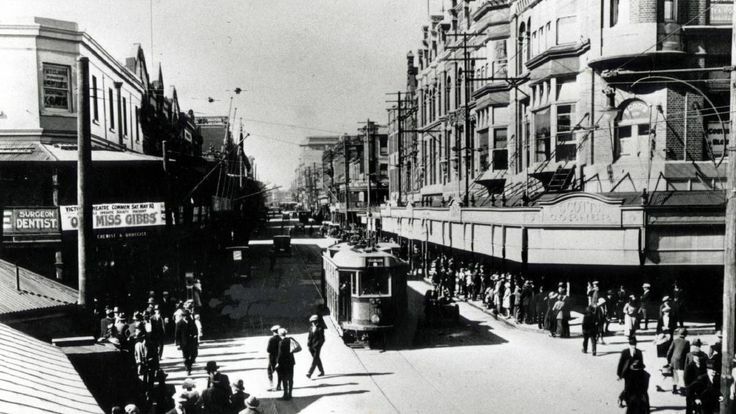 The tram terminus was then at Perkin Street (Scott Street then ended at Market Street). By this time horse-drawn transport had ruled for many years and Hunter Street was often crowded with horse-drawn buses, hansom cabs, carts, drays, carriages and sulkies. Horse droppings became both a nuisance and a health hazard. The council employed men to clean up the streets every day but, while they could remove the evidence of the horses, the could not keep away the dirt, dust and flies that blew into shops and houses from the surrounding bush. Speed was another problem. Drivers were often taken to court and fined for being in charge of a speeding horse or horses in Hunter Street. In 1898 the council introduced a by-law prohibiting vehicular traffic, drawn by animals, to travel at more than walking pace between Watt and Brown streets on Saturdays and public holidays, up to 10.30am. It did little to stop accidents in the street. While the original section of Hunter Street has been built up, part of Blane Street was still subject to flooding from high tides. In the middle of the last century a young man drowned near today's Technical College. At the western end of Blane Street, near the Bank Corner, was Cottage Creek and on its eastern banks - near the Palais Royale - were two cemeteries, one for Catholics, the other for Presbyterians. It was also at the edge of the creek, in the very early days of the settlement, that the guard was posted to try and forestall escaping convicts. Any improvements made to Hunter Street often meant an agreement between two or more councils. 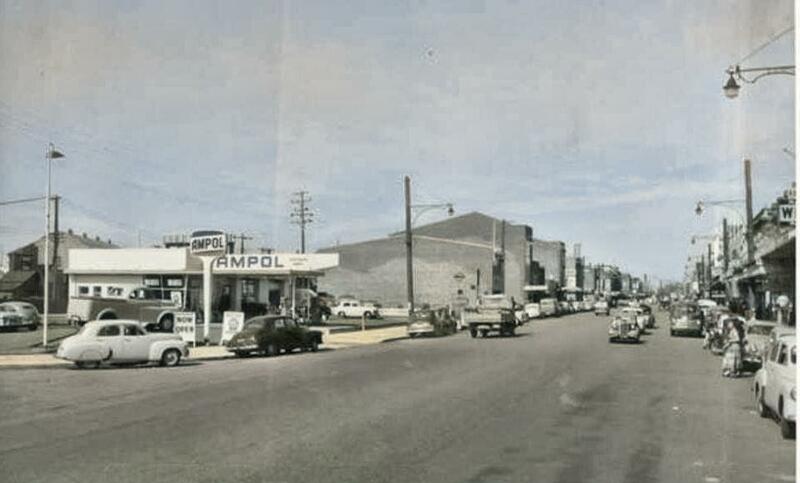 Part of the West End was in the Wickham municipality and this meant that both Newcastle and Wickham aldermen had to agree if money was to be spent in the western part of the street. Over the years, aldermen on both councils met and talked interminably about how to improve the street. Funding was always the problem and there were always some aldermen who wanted to use the most up-to-date and expensive methods of paving or re-aligning the street. Early photographs show it as dusty in dry weather and muddy in wet. There were always drainage problems and endless complaints of raw sewage entering the drains and eventually the harbour. The stench from some drains was said to be continuous and overwhelming. Over the years the council discussed, and carried out, the sealing of parts of Hunter Street with wooden blocks, concrete and asphalt. This finally overcame the problem of mud and sand, which in wet weather saw one end of the street covered in black mud, the other in yellow-brown. In the very early days of the settlement when names were given to the streets or tracks, Watt Street (originally George Street) was considered Newcastle's most important thoroughfare. Hunter Street began its western journey from Watt Street. As Hunter Street grew in stature and length, the city fathers decided that the street should be extended to Pacific and then Telford streets. This meant that properties in Watt Street had to be purchased and demolished. It took a special Act of Parliament and more than 20 years of lobbying and discussion before the way was clear to extend Hunter Street. About street numbering in Newcastle. 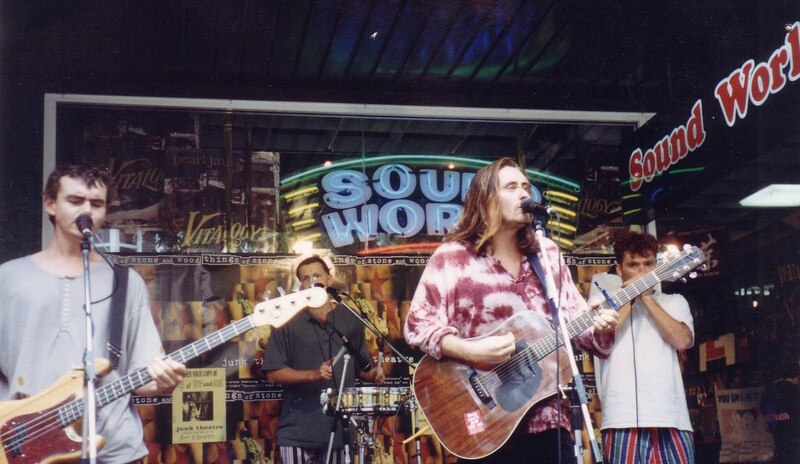 or todays Pacific Street. Not long after, it was extended further east to Telford Street, only to be cut off again at Pacific Street in recent times when Pacific Park subsumed the eastern extension and adjoining Hunter Street buildings. Todays Scott Street has also undergone a number of changes to numbering as buildings have been subsumed and demolished to make way for new parkland or future redevelopment. 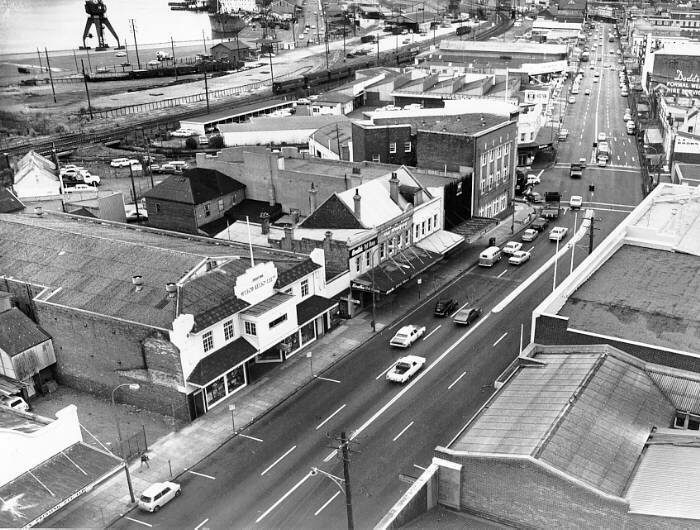 With the removal of the AA Companys rail bridge over Hunter Street in 1921, the western end of Newcastle began to develop quickly and what was originally known as Blane Street, in 1889, became part of the long main street where Hunter Street finally extended from Pacific Street in the east to Selma Street in the west. This extension also included the original Charlton Street, which ran from Cottage Creek, now adjoining Market Town Shopping Centre, to Selma Street in the west. What was Hunter Street, running from Tudor Street to Selma Street in the west, is now known as Maitland Road! As part of this amalgamation, street numbers regularly changed and, over time, property numbers on Hunter Street have commenced at Pacific Street, then from Telford Street, and now, again from Pacific Street, where they run continuously, to the west, without a numbering break. When using the original 19th Century numbering, add 64 to locate places using todays street numbering. HENRY ENDERSBY AT 123 HUNTER STREET The Writers Grandfather was Henry Endersby, sometimes also own as Henry Sykes He was born in Perth, Western Australia to a large family that had immigrated to Perth, Western Australia from Cambridgeshire, in the early 1800s. By way of family disunity and separations, Henry, his sister and mother came to live at Pit Street in Newcastle, in 1874. As a teenager, Henry performed acrobatics at the Crystal Palace Gardens at Mayfield and at the Victoria Theatre. 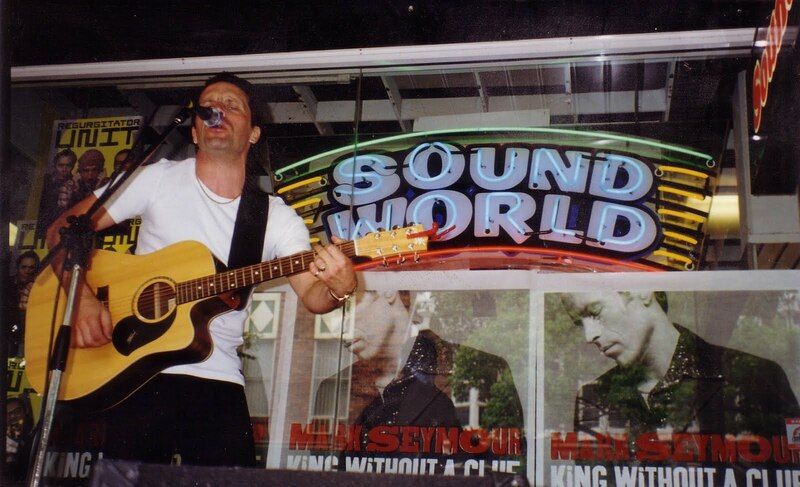 He also performed a variety of music events whilst learning his trade as a bootmaker and shoe salesman on Hunter Street. Later, he opened his third shoe and boot shop on Hunter Street following successful business in Lambton and Wallsend. Henry Endersbys Boot Store, located at 123 Hunter Street, in 1905, was on the site of todays 187 (approximately) Hunter Street, preceding the Scotts/David Jones complex. The exact location is now obscured by later development but is recorded in historic material, maps and images. Henry Endersby owned his boot and shoe store at 123 Hunter Street Newcastle from August 1905 until September 1910. He purchased the business from W Shirlow, Boot and Shoe Store in August 1905 and subsequently sold it to the Nobby Shoe Company of Sydney (later the Commonwealth Shoe Company) in September 1910. The manager of the Nobby Shoe Company/Commonwealth Shoe Company was David Leslie Sharp, who became Henrys son-in-law. David Sharp had married Henrys daughter, Florence Hannah Endersby, in December 1906 and they went on to establish Sharps Shoe Store in 1929 at 205 Hunter Street. David Sharp was 26 when he married Florence and was 30 when he was the manager of the Nobby Shoe Company, following its acquisition from Henry Endersby in 1910. Henry Endersbys HUNTER STREET Neighbours 121 Hunter Street On Hunter Street, the nearby site of Rouses Hotel, later Pearsons Furniture shop, at 121 Hunter Street, was redeveloped in about 1905 to offer William Scott additional space for his expanding business. The early building developed by William Scott remains today. The extant building at Scotts Corner was not completed until after 1913 so there were at least 3 years between when Henry sold his Hunter Street shoe business and the time when that shop, and others, were demolished to make way for a major building development as William Scott further developed his premises towards the west and onto the Perkin Street corner. 125 HUNTER STREET George Wielands property was clearly one of Henry Endersby neighbours on Hunter Street. Wielands Butcher Shop was located at 125 Hunter Street, therefore immediately to the west of Endersbys Boot and Shoe Store. Even though the name of his butchery on the canned meat can shows The Strand Butchery, the address is clearly 125 Hunter Street and is noted as being (almost) opposite the (Victoria) Theatre. 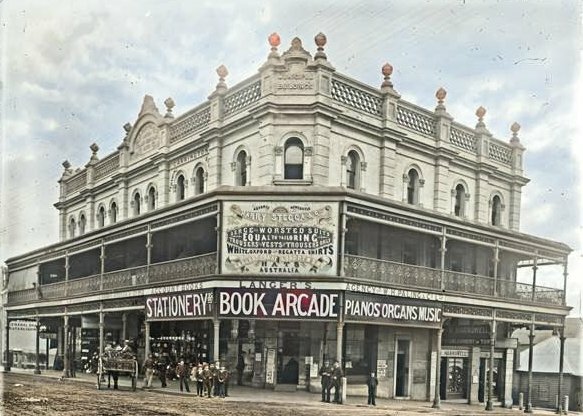 The name Strand was commonly used on business premises in the Nineteenth Century. 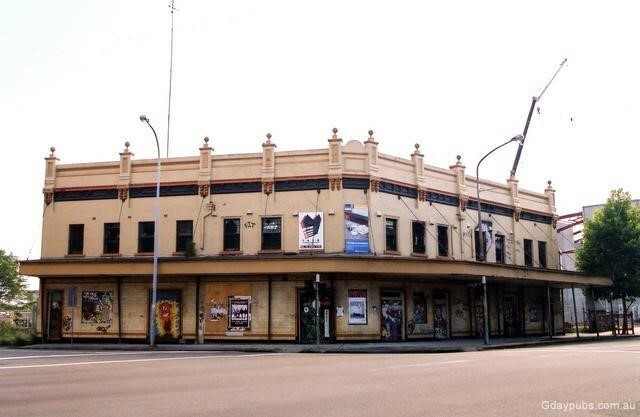 The Strand Theatre, further east on Hunter Street, came much later in 1914 when it occupied the site of the original Newcastle Borough Markets, at or near todays 123 Hunter Street. The name of the Strand Theatre and todays 123 Hunter Street have no connection with the property of either Endersby or Wieland. The other interesting connection is that the brand of the canned meat is shown as Nobby Brand, the same name that Henrys shoe store later assumed after he sold it in 1910 to the Nobby Shoe Company. Coincidental? These Newcastle Morning Herald images of 2.1.1899 were extracted from the Facebook site Lost Newcastle. They can also be found on a Trove search about George Wieland. The Wieland shop front can also be seen in the pre-1908 image below, immediately to the right or west of Henry Endersbys store with the large white name panel where the horse and cart are standing. In that later image, the decorative column brackets have gone but the wide span and arched opening between the columns, in that image, are just obvious. 127 HUNTER STREET, at Scotts Corner This pre-1908 image shows what would later become Scotts Corner, at the corner of Hunter and Perkin Street, Newcastle. 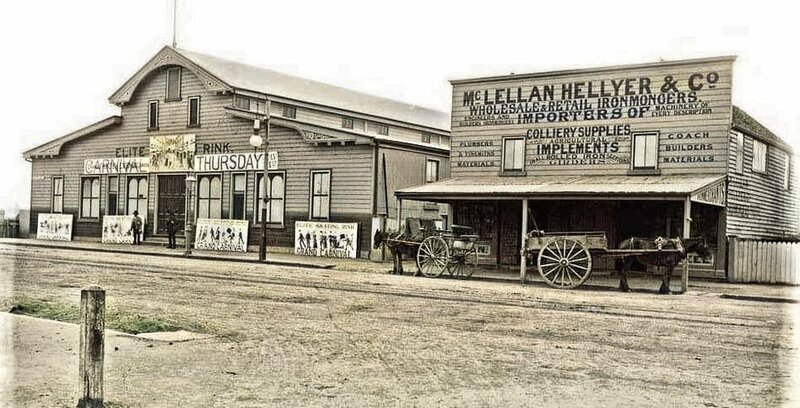 It is likely that Henrys store, at 123 (now 187) Hunter Street, was located in the building with the covered bullnose verandah to the left of the photograph, possibly the shop with the large white panel. In this particular image, the signs are not readable. 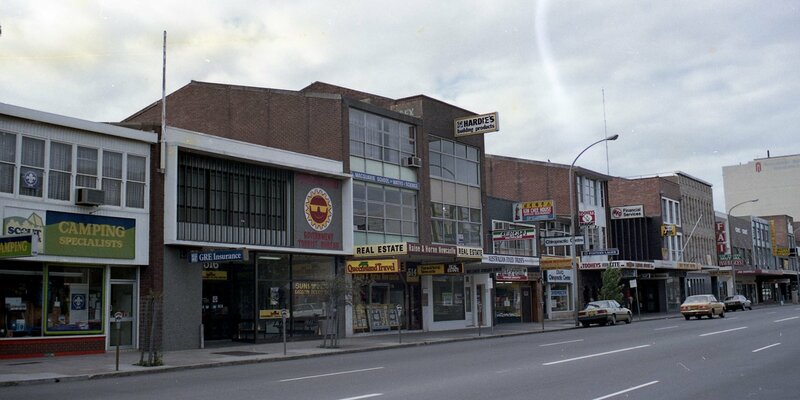 Compare this with the adjacent image, showing Henrys store at 123 Hunter Street with the large white business name panel above. That panel can be seen in both images above and below. 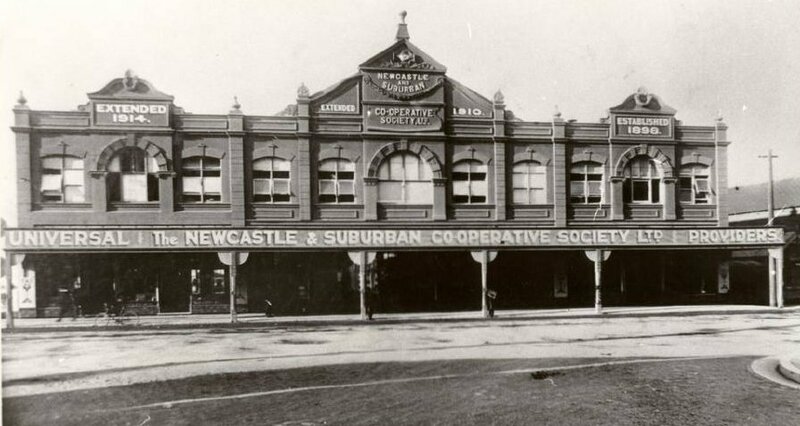 Scotts Corner, About 1908, at the convergence of Hunter and Scott Streets, Newcastle. This is a famous Ralph Snowball image, looking south-west, showing the corner of Hunter and Wolfe Streets, Newcastle in August 1910. To the very right of the image, to the right of Scotts Ltd first building, can be seen a part of the building that Henry Endersby occupied on Hunter Street before Scotts Corner was established. Just visible are the bullnose upper verandah, white fabric sun blinds and long slender verandah posts. The original image also shows stock and marketing panels being displayed at footpath level along the shop frontage. Compare this detail with the shop front image below. The same group of buildings today with the earlier Scotts building remaining to the east. Google Earth image. All about to change again. 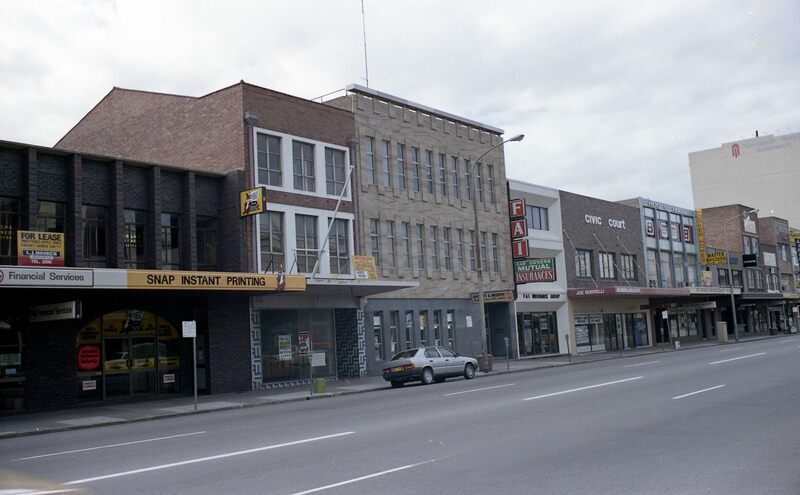 Sharps Shoe Store From 1929 to 1973, Sharps Shoe Store was located at 205-207 Hunter Street Newcastle. The building at 205 Hunter Street is now the Newcastle Family Practice building, providing GP services. There is no record of a shoe store at this address before 1929. Old images initially suggested that the building may previously have been a produce store as the street awning shows the word LUCERNE. However, there are no horses or hay bales to be seen in any image! Further investigation of more recent images shows a series of shops to the west of the Crown and Anchor Hotel. These included G Caldwell, Jeweller, Newcastle Bag Store and Lucerne, now identified as a butcher shop, adjoining Sharps Shoe Shop. 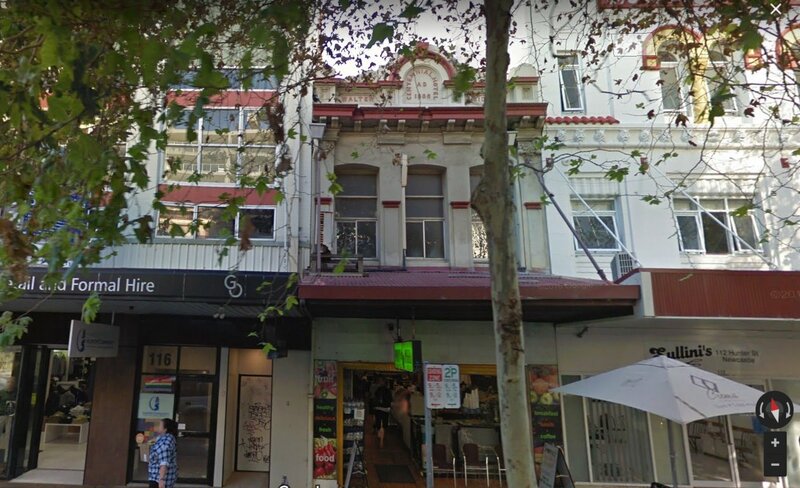 The butcher shop later became Australian Sea Foods, then McGavins Butcher Shop, Newcastle Bag Store later became Smarts Bag Store and G Caldwell Jeweller subsequently moved a block to the east and re-established on the south-western corner of Hunter and Wolfe Street. It seems unlikely that, in the midst of a row of quality stores, there would be a farm produce store showing Lucerne. Lucerne was one of a number by that name that had traded in Newcastle and inner suburbs since well before World War 1. The Hunter Street butcher shop was closed on 29.7.1943 due to the shortage of manpower at the height of World War 2. Their remaining two stores at 133 Scott Street and Hamilton Road (now Denison street), Hamilton remained open during the war. The butcher shop was soon taken over by others and the premises were occupied by a number of butchers until the end of the McGavin era. In fact, McGavins took over a number of Lucernes butcher shops in later years including the stores on Hunter Street and at 133 Scott Street. They eventually had more than 20 butcher shops in the region. Ref: Newcastle Sun, Lucerne Meat Market advertisements 31.8.1918 and 29.7.1943. Sharps Shoe Store was therefore located immediately to the west of the long-term butcher shop, with Winns Department Store, immediately to the west. There it remained until the shoe store was taken over by the Wyatt family, following the death of Florence Sharp in 1976. Jaroslav and Clare Novak took over the photographic business of C T Lorenz in the late 1950s, having arrived from South Africa and the worked for that business in the early 1950s. The business was located on the street level at 277 Hunter Street, in the Corona Building, originally built in 1935 by the Australian Agricultural Company. The shop was mid-way between Crown and Darby streets in what became known as the Crown-Darby block. It was a small shop with a high ceiling and above the main sales floor was a mezzanine which served as the shops office where Claire Novak kept the business in order. The shop had a side window that looked on to the foyer entrance of the Corona Building. The shop therefore had good passing trade exposure and the Hunter Street window was always filled with amazing and new photographic equipment. 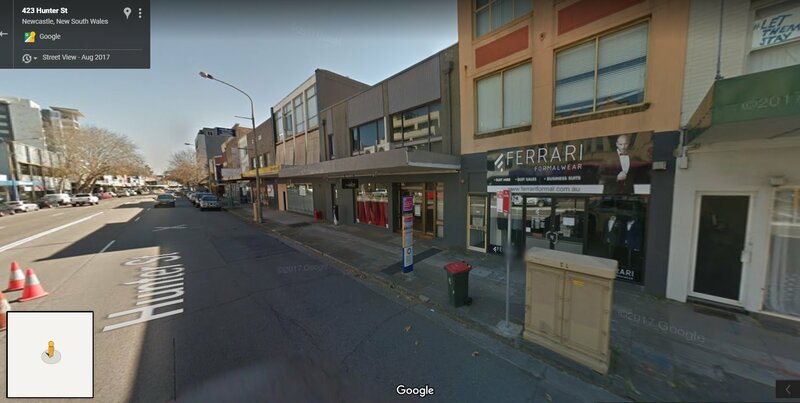 What inspired me to tackle such a task as to try and identify some of the older shops and businesses in the Newcastle CBD and in particular Hunter Street. As a young Electrical contractor working for myself, I was lucky to have had friends and relatives who owned shops. cafe's and businesses in Hunter St. It all started with one person who told the next person about my electrical fault finding abilities and so my business grew around the CBD. I was so relied upon to give instant attention and urgent electrical serviceto my clients in The CBD that it made it very difficult to take on to much work outside the area. 1950 - Elsdon W.R. Cattell & Company Accountants.